CLEVELAND, OH – It’s one thing to create music people like – music you can nod your head to and enjoy for a brief moment in time. It’s a whole different thing to create an experience that sparks debate and makes people think more deeply. Music like that becomes more than just a mere enjoyable background noise – it becomes the type of art that can change lives. 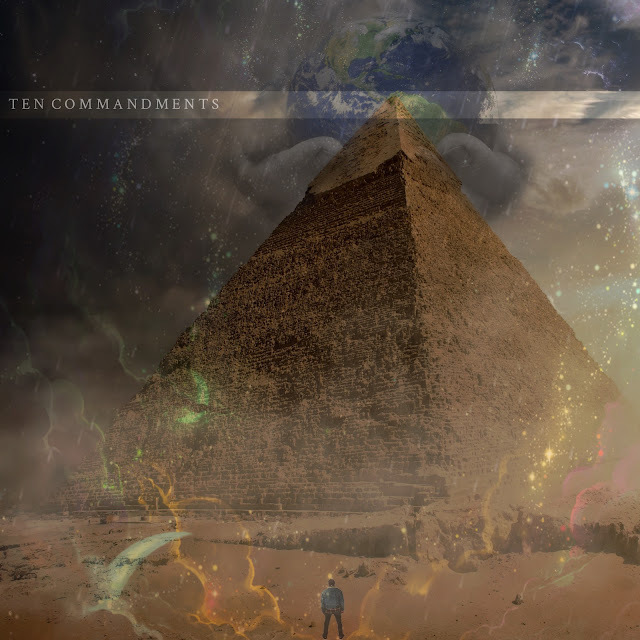 That’s the kind of music Cleveland-based artist Ethos wants to create, and his new album “Ten Commandments” is the perfect testament to that mission. It’s a deeply challenging look at life using the Ten Commandments from the Bible as a point of reference. Each song takes the idea from the individual Ten Commandments and uses that as a platform to challenge listeners’ preconceived notions about life, culture and society. The first track is “Zealot” which Ethos describes as an indictment on how humanity has twisted the purpose of the church over time. While he doesn’t exactly say that man has gotten it wrong, he does nudge the listener to look beyond mere blind faith and question the reasons why belief is there in the first place. He follows this up with “Idolatry” which is a song that he said takes a closer look at anyone who would be arrogant enough to portray themselves as an absolute answer to anything. A skit he has titled “Vanity” serves as the third track on the album and highlights the hypocrisy of today’s church leaders. This is followed by “Sabbath” through which Ethos challenges people to consider what they’re filling their lives with and how those things might be more negative than positive. “Vanity” is a bit of a break in terms of tone and sets the stage for some harder songs to come including “Parents,” “Murder” and “Adultery.” The first is a song that he said is a direct message to his birth mother, but which also encourages all other parents in the world to let their kids learn to stand on their own. “Murder” turns a corner in the album in terms of tone and subject matter. Ethos uses the song to call out anyone who follows a crowd for no other reason than that they want to belong. “Adultery” is a song that Ethos said is very intense and is pulled directly from his own personal life experiences. It’s almost like he’s telling the story from his perspective, and he leaves no room for interpretation in what he’s saying. Ethos finishes off the album with two more songs and a skit. One song is “Klepto” which of course revolves around the idea of not stealing. But theft in essence serves as a metaphor for people who mooch off others to get ahead. Ethos said he can’t stand it when people are too lazy to get a job or get ahead in life and instead “steal” from others around them. The skit “Married” follows that song and sets the stage for “Covet” which caps off the album. All of the songs come in under 30 minutes, and Ethos said it’s a project that is meant to be listened to from start to finish in order.